GenericTablets.org: Is It A Legitimate Or Rogue Website? 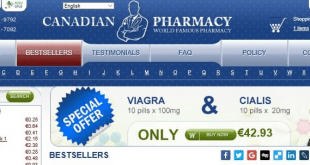 GenericTablets.org is an online pharmaceutical store that offers generic medicines to its clients. Not much is known about this online pharmaceutical store. It ships its orders from India which normally takes from 10 to 17 days to deliver, either through regular or express airmail service. 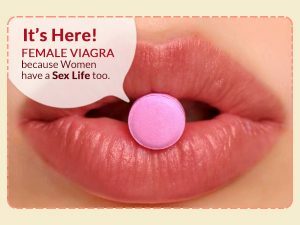 GenericTablets.org sells high quality medicines at affordable prices and offers a wide array of medicines such as antibiotics, cardiovascular medicines, ED (erectile dysfunction) drugs, medicines for men and women’s health and many more. All medicines being offered by GenericTablets.org are manufactured and shipped from India and shipments are delivered within a maximum period of 17 days. In the event of any damage or non-delivery, the company claims to offer to resolve the situation to the satisfaction of its clients. Cancellations can be made within 24 hours through the company’s email address. Clients are assured that the information they share will be treated with confidentiality. It will be difficult to assess whether this online pharmaceutical store is legitimate or rogue. There are no customer reviews that can be found online for GenericTablets.org, which adds to its unpopularity and low client base among the online users. This company has earned a negative performance evaluation from website audit sources such as Legitscript and ScamAdviser. – It does not follow standard rules and regulations on online retailing of medicines. – It is involved in fraudulent business transactions online. Moreover, ScamAdviser.com reports that GenericTablets.org has a zero trust score rating thereby, substantiating LegistScript’s findings that this online pharmaceutical store is unsafe. It is possible that this online pharmaceutical store may also be involved in fraudulent transactions. Other findings also show that GenericTablets.org does not have any contact number in its website and also has no customer sales agents. It has misdeclared the country of origin as well as the year it began its operations. It states that the country is based in the United Kingdom but there is a possibility that it may also be in the US, Russia or the Netherlands. Although this online pharmaceutical store offers cheaper generic drugs at an affordable price, it is advisable to note that it does not meet the client standards and having no customer reviews at all at any review site – making it an unsafe website to deal with. It is suggested that clients avoid this website and to look for other legitimate sites to do their online shopping for medicines.